The long awaited night for Indonesian Inner Circle was coming. Finally for the first time WINNER come to Indonesia through their concert “EVERYWHERE Tour” in Jakarta on November 17th 2018 at Tennis Indoor Senayan, Jakarta. WINNER started off the concert with their hit song on the first album “Empty”, Inseo were shouting and cheering so loud when their was performing. after performing two songs, it’s time for introducing part. Leader Yoon are very talkative during the ment and the boys was greeting Inseo in Bahasa. Their also knew some viral words in Indonesia like ‘mantul’. Everyone was very happy. 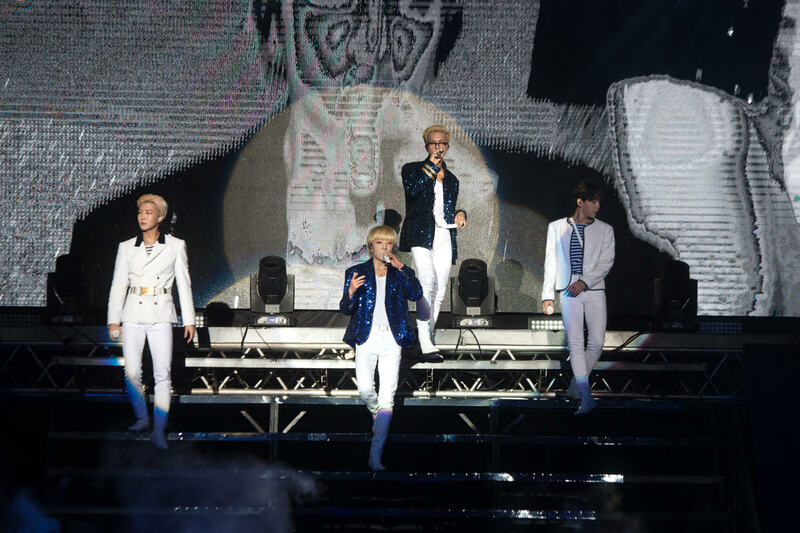 This concert did not only have their group performance, but also solo stage from 4 talented boys. The first member who did the solo performance is Mino. Mino came out with his songs “Body”. He was burning the stage with his lit performances. He makes everyone at the concert scream so loud especially when he unbuttoned his suit and showed his abs. The second member who did the solo stage is Jinwoo. He appeared with the standing microphone singing “Untitled” from GD. His performance was so emotional. Jinwoo voice was touching every hearts of Inner Circle. Everyone at the concert was sing along together during his performance. Leader Yoon are the next performer in solo stage. He came out with the blue suit singing his solo song “It Rains”. His voice was so amazing and powerful. In the next song “Instinctively” he took of his suits and brought the guitar to the stage. He also did the cover song of One Direction “History” at the stage. Hoony are the last member who did the solo stage. He appeared in black sleeveless T-Shirt singing “Serenade” with full of energy. He also sing “Ringa Linga” during his performance. His dance are very energetic and amazing. Everyone was so hype up in his solo stage. Their performance slowly turn into more softest with their ballad song “Movie Star”, “Raining”, and “For”. After those emotional stage they became more hyper again with their hit song “Love me Love Me”, “La La”, “Island”, and “Really Really”. Two hours passed by very quickly. It’s time to say goodbye. WINNER ended their concert with “Don’t Flirt” and remix version of “Love Me Love Me”. It was such a great and happy night. Thank you Mecima Pro for bringing 4 talented boys for the first time to meet Indonesian Inner Circle. Thank you for the unforgettable night and we hope WINNER will come to Indonesia again soon. WINNER.. You are my movie star..